Leomet alloys inc is a proud member of metal and stainless steel merchants association, Mumbai. 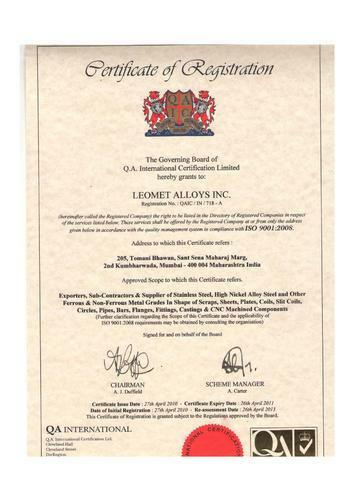 Leomet alloys inc is authorized importer of swebor stal plates. Please see below details of our partner in sweden. 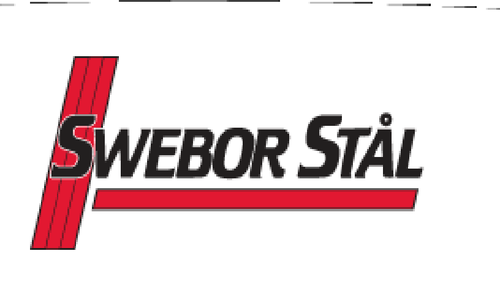 swebor stål is a specialist steel company on the worldmarket, our speciality is heat-treating thin boron steel. We provide these heat-treated sheet and boron steel profiles to customers worldwide, 90% of our sales are exported. our customers are mainly machine manufacturers and steel wholesalers in europe, north america and asia. the heat-treated boron steel from swebor is a carbon-manganese grade with chromium. The addition of boron gives the steel its unique combination of hardness, strength and weldability after heat treating. In the hot-rolled state, boron steel is softer and can be machined or formed without soft annealing. boron steel has several advantages compared to common tempering steels. Boron steel can be hardened and the carbon content balanced so that subsequent tempering is not necessary. The new boron steel also has special advantages over other heat treatment steels. Above all, better strength relative to hardness, but also better weldability, fatigue strength and wear resistance. We deliver heat-treated profiles and sheet in lengths up to 8 metres. Leomet alloys inc is authorized importer of abrex & welten plates from nippon sumitomo metal corporation, japan. Nippon steel & sumitomo metal corporation ("nssmc") aims to become "the best steelmaker in the world" at an early stage after the establishment by strongly advancing the following four initiatives. by promoting the initiatives below, nssmc will respond to change in the management environment and will secure "world top-level profitability" at any time, and will aim to increase its corporate value and to improve the evaluation by shareholders and capital markets. Nssmc plans to announce promptly after its establishment its medium-term management goals and major policies.